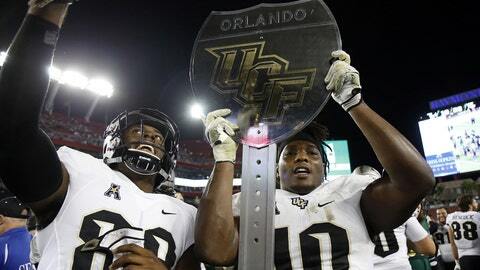 The UCF Knights, who wrapped up a second straight unbeaten regular season with a win over USF, will need a lot of help to get a spot in the playoffs. The Cougars (10-2) were ranked 13th, behind ninth-ranked Florida, 10th-ranked LSU, 11th-ranked Washington and 12th-ranked Penn State, all with three losses. Wazzu will likely settle for the Alamo Bowl and the Pac-12 will get just one team in the New Year’s Six.